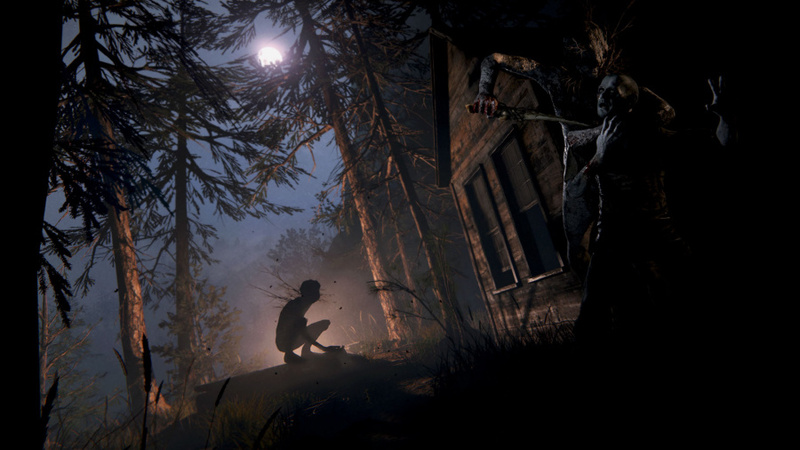 Outlast II from Red Barrels is one of the most anticipated titles of the year. 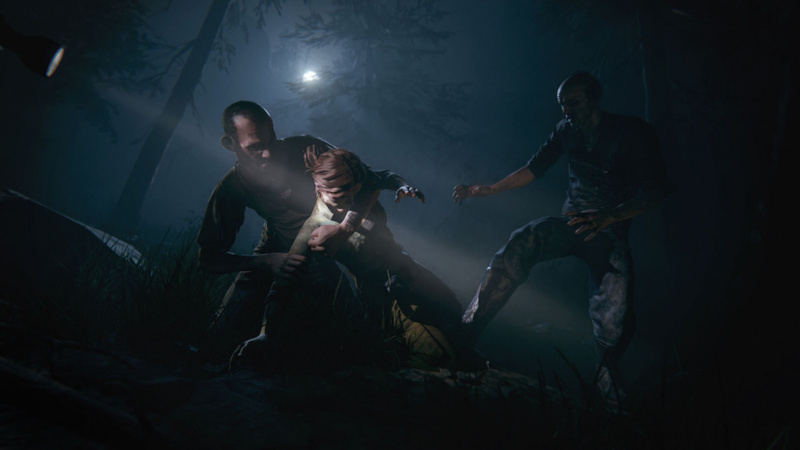 A follow-up to one of the best horror games we've had the chance to play, we got the chance to ask composer, Samuel Laflamme – who also scored Outlast, as well as the expansion, Whistleblower – a few questions about his process, how the soundscape for the newest horror title came to be, and how the audio team even made a new instrument for the game. 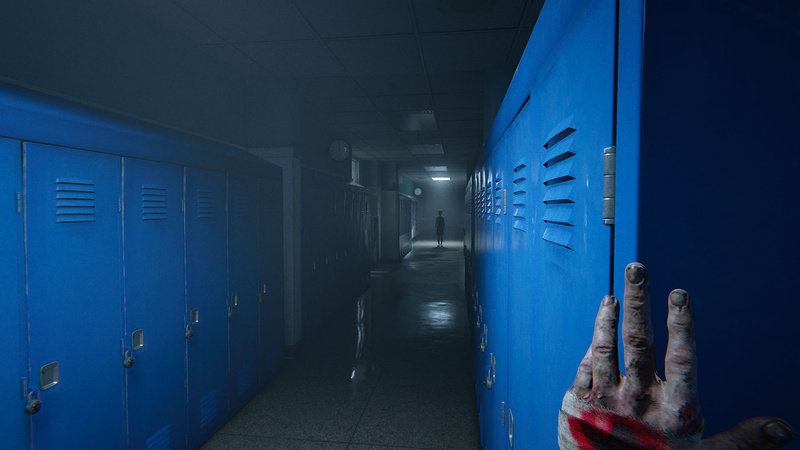 Push Square: What kind of efforts did you take to have Outlast II's score differentiate itself from the first game? After all, the locales between the games are wildly different. 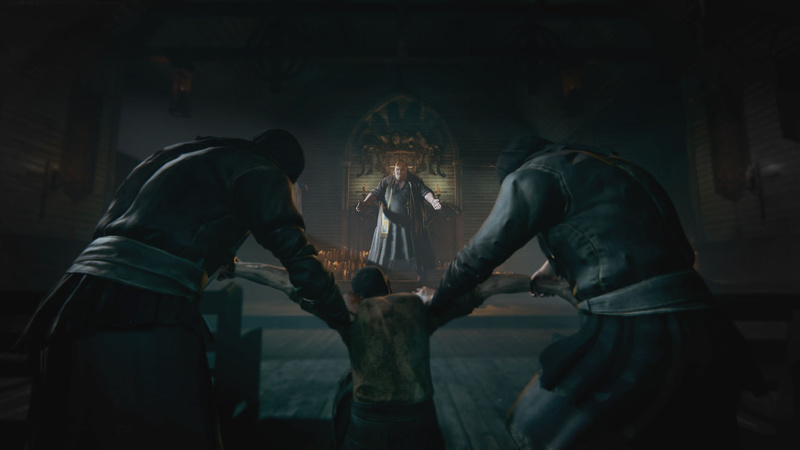 Samuel Laflamme: The Outlast II score was definitely more demanding than that of the original, for a couple of reasons. First, because we wanted the terror in Outlast II to feel fresh, I had to completely start from scratch. The new, radically different rural setting also required me to rethink some of the usual tricks I used in the first game. But, of course, everything still had to meet the standards of absolute terror that the first game had already established. Did you set out with the goal of completely altering the soundscape of the series, or did you approach making the music for Outlast II as more of an attempt to craft something familiar, but different? In a lot of ways, I seriously reinvented my approach to instrumentation. 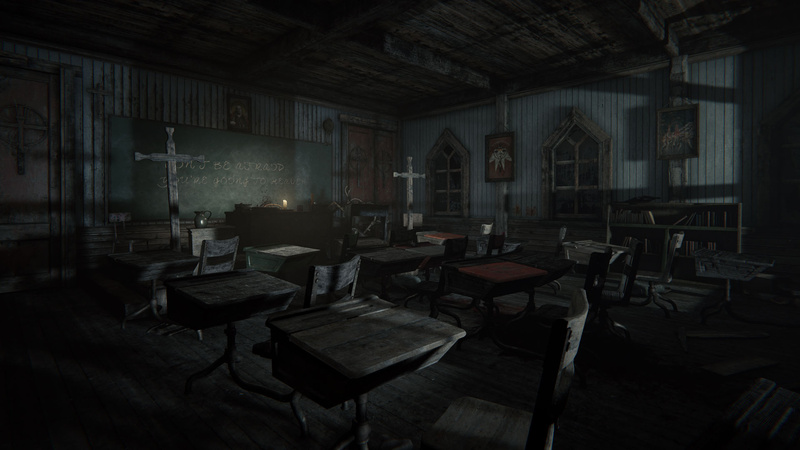 In the first Outlast, we wanted to use an orchestral score to give the game a more traditionally gothic sensibility, which felt befitting for the asylum setting. With the second game, however, I used guitars, banjos, and percussion instruments, and then tweaked them through modular filtering to make them sound more eerie. I then went a step further and explored the sounds of everyday objects like a piece of wood or metal. That led my team and I to design an instrument with a metal string attached to a piece of wood. Then we used a Contact mic, and played the instrument with a violin bow, and it really fit with the overall score. The goal was to create an instrument that would sound like a guitar but isn't, and sounds like a bass, but isn't. In what way did you consider the juxtaposition of incredibly graphic violence (by all counts, Outlast II isn't going to be for the squeamish) with your score? Ultimately, when you create music for a tense chase scene, your real concern is to create something that prompts the player to run. With all those scary and gory moments, I don't have a lot of opportunities to add something a little something more beautiful and peaceful, because it just wouldn't fit the subject matter. I have to choose the right moments for it. But when it's well done, it brings soul to the experience, allowing an incredibly rewarding contrast. Think of Reservoir Dogs, the famous scene when Michael Madsen cuts the ear, the music just brings magic to the scene. 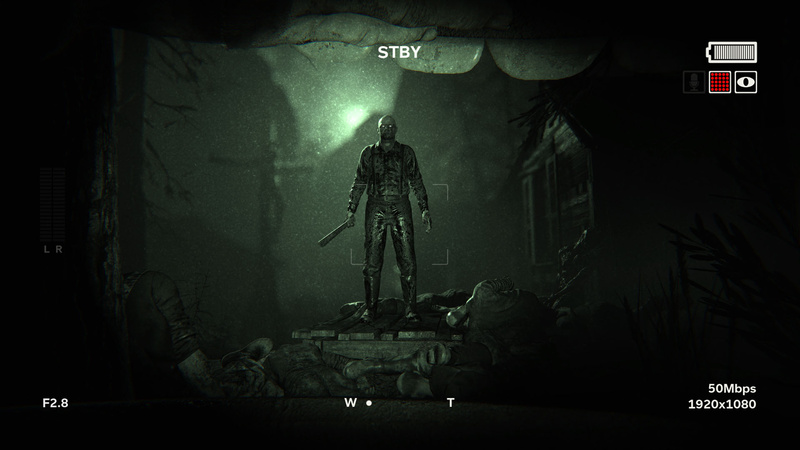 Outlast was a game largely built around the tension of running away from danger. In what ways did you use your music to further increase the level of horror of fleeing from a very present danger in-game? By trying new ways of approaching those levels… I still use a lot of chase music, but Francis [Red Barrels' audio director and sound designer] and I tried to change the indicators for the gamer to start running. In Outlast, we did use a lot of stingers that started the chase themes. We got rid of those, and just let the chase themes speak for themselves. Some moments don't have chase music at all. We just let the player fully take in the environment's sound design. Was there a particular sequence in the game or piece of music that you found especially challenging to fully realise? I would say that having done so many chase themes for Outlast II, at the end it's difficult to reinvent the genre while staying within the same sonic palette. The last chase themes were definitely the most challenging. At one point, I think I went too far, and Phil from Red Barrels felt it would be too intense to put it in ears of gamers during 30 min of gameplay, but I still put it in my Soundtrack Album (the 13th track, 'Show Me Your True Face'). There are distorted sounds that I can't play too often in it. It's too intense. I had to tone it down a bit and in the album, it was possible to put them at the right place. But in-game, within an interactive world, you don't have this precise control. Is there a standout piece in the score that you find yourself particularly proud of? Track 14 'You Never Let Me Go' is one of my favourites! I tried to stay minimalist but efficient at the same time, and I think I really nailed it on this one. I'm very proud of the large sonic image it delivers, without using any orchestra, except for one brass note. I also really enjoy the contrast of emotion compared to all those chase themes. To me, it's like you're in hell during all the game, and I was looking for creating something that feel like heaven. Just to try to put something like that on some gory images... I almost cried the first time I played that moment! 'Swarm Ambience' (one of the tracks from the first Outlast) is one of the most uncomfortably disturbing pieces of music we're ever heard! Any chance you tapped into that gold mine again? Or anything in that vein? Oh, thank you! I can't pretend I tapped into it that much, but I stayed focused on trying to! I recorded a choir in a Church that delivers seven seconds of reverb. This is where the eerie choir tension comes from in Outlast II. You won't have the same effect as the swarm track, because it doesn't represent the same symbol. In Outlast II, I tried to not use all those Cult clichés like Jerry Goldsmith brilliantly did on The Omen. I wanted to stay modern and minimalist. If you listen to the second track, 'Hide You In Ezekiel's Blood', you'll hear in the background some of these choir cluster tensions. Now that you mentioned The Omen what are some of your favorite – or the ones that have influenced you most – scores that you've ever heard? Johann Johansson's Arrival, John Williams' Star Wars series, Danny Elman's Batman series, Bernard Hermann's Vertigo and Psycho, Hans Zimmer and Christopher Nolan movies (all of them), Hans Zimmer's The Thin Red Line. James Horner's Aliens, Cocoon, A Beautiful Mind, Apollo 13, Elliot Goldenthal's Alien 3... Just to name a few. And finally, how did you find your way into making music for games? Samuel Laflamme: My good friend Sam Girardin from Game On introduced me to Philippe Morin at Red Barrels. Phil and I chatted a while and we found that we shared the same vision of music's role in movies and games. We really connected on how the music can be used as a storyteller. So, Outlast was my first game. I've been lucky to meet the right people at the right time. Outlast gave me some visibility, and through its success I was able to establish myself as a video game composer. So there you have it: a glimpse into the process of how Outlast II's soundtrack came to be. We'd like to thank Samuel for taking the time to answer these questions for us. The soundtrack is available in full here, on Samuel's YouTube page, and is available for purchase on most digital stores. 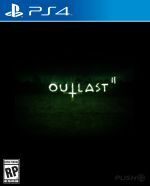 Outlast II is available now digitally or at retail in Outlast Trinity which includes the first game and Whistleblower. Samuel Laflamme is my frikkin hero. "In Outlast, we did use a lot of stingers that started the chase themes. We got rid of those, and just let the chase themes speak for themselves. Some moments don't have chase music at all. We just let the player fully take in the environment's sound design." AWESOME. Sometimes I'd only know a chase was starting with the stingers, which kinda ruined the surprise of being caught unawares or hearing an approaching enemy before the music kicks in. 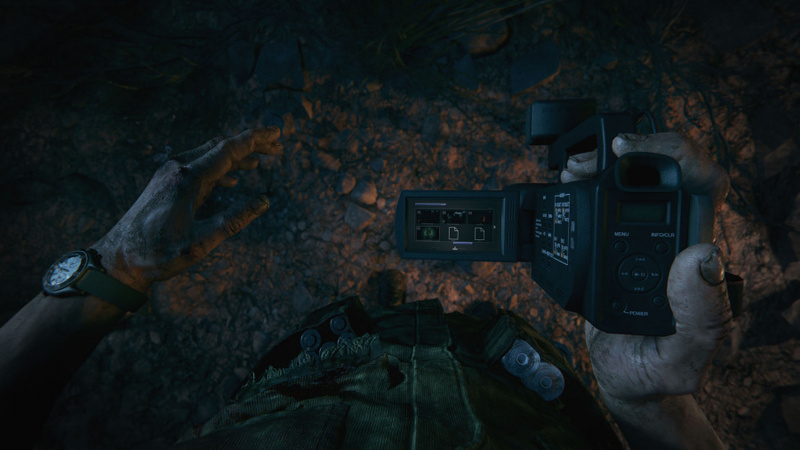 I'm sure Outlast 2 will be all the more frightening because of that! Can't wait to play it. @DamienVonOslo I love the music of the series too! What don't you like about the games? @DrJoeystein Thanks! And oh heck yeah! So much of the music in those games is just soooo uncomfortable haha. That's why I couldn't resist mentioning "Swarm Ambience" from the first game haha. And agreed! Approaching the chase music differently sounds like it's only going to be beneficial! @drjoeystein Oh, it's not that I don't like the game, but if given the choice to either play the game or sit in a dark room and listen to the score, I'd pick the score because it's so damn perfect.